Incorporate a fresh look wearing the Vince® Mixed Media Long Sleeve Dress. Mandarin collar with open V-neckline. Lace long sleeves with button cuffs. Elastic rouching at the waist. 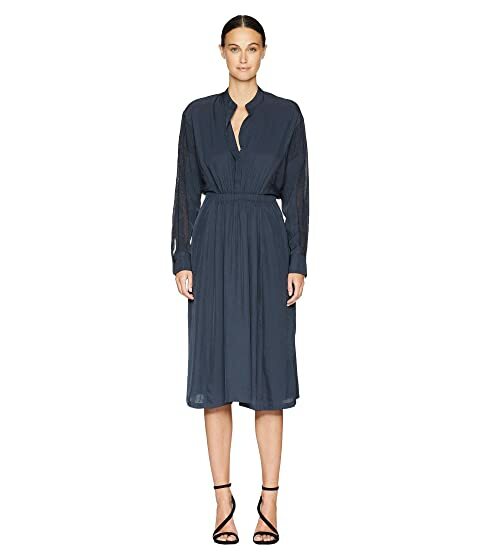 We can't currently find any similar items for the Mixed Media Long Sleeve Dress by Vince. Sorry!